Please read all of our terms of delivery and payment before placing your order. Not all of our products are shipped from France, although Blockchain International Technologies' headquarters are in France, our two Mining branch warehouses are located in the United States and Hong Kong depending on the models ordered, your order will be shipped from one of these two logistics centres. As a result, you will be responsible for paying customs clearance and import taxes. Everything else (PSU and Delivery) is included in the price. For processing and delivery times, they are currently 7 working days after confirmation of payment (This time depends on our workload, those of our logistics subcontractors, your payment method and the country of receipt). Certain countries and regions, notably South Africa, Iran, India, Continental Africa, South America and the United Arab Emirates, have slightly longer delivery times. For payments by cryptocurrency (Coinbase Commerce), it usually takes one working day to validate the payment. After that please take into account a processing and delivery time of 3 working days via DHL Express. For orders by credit card (Sogecommerce), it usually takes 1/2 working days to validate the payment. After that please take into account a processing and delivery time of 7 working days via DHL Express. For orders via bank transfer, it generally takes 1/2 working days to validate the transfer from France, 2/3 working days for the European Union and 4/5 working days for the rest of the world. After that please take into account a processing and delivery time of 7 days via DHL Express. In the desire to offer you the most transparent and complete service. 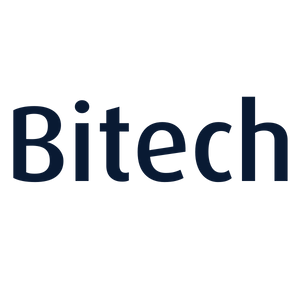 By the Bitech Mining Support Team.